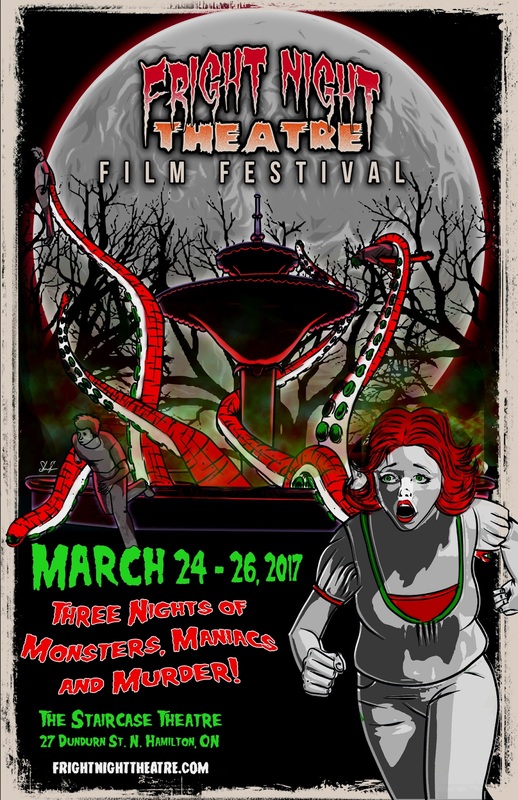 I've been a little lazy this week I admit, but I will be back with reviews soon, as this weekend is the 2017 edition of Fright Night Theatre! In edition to bringing Agnieszka Smoczynska's debut The Lure to the Hammer, there are also weird and wacky treats like Pool Party Massacre and Cat Sick Blues. Come on by to the Staircase Theatre if you happen to be in the area. For more info on the fest, click here. How does a gig as a Short programmer work? Do you need to solicit and hunt down titles to have screened for the FF, or do these film makers push material to various fests in hopes of getting their work shown? It's a bit of both. You seek out cool stuff that has played other fests, but also sort through blind submissions to the festival's pages on sites like Withoutabox and Filmfreeway. With some good luck, 100 subs yield about 10-12 playable shorts, with 3-4 of them being real gems. Oh, ok. Sort of like being a young chick.